Whew, what a crazy few months! We have our toes dipped into a lot of pools, which has left the Eriesistibull household stretched pretty thin. 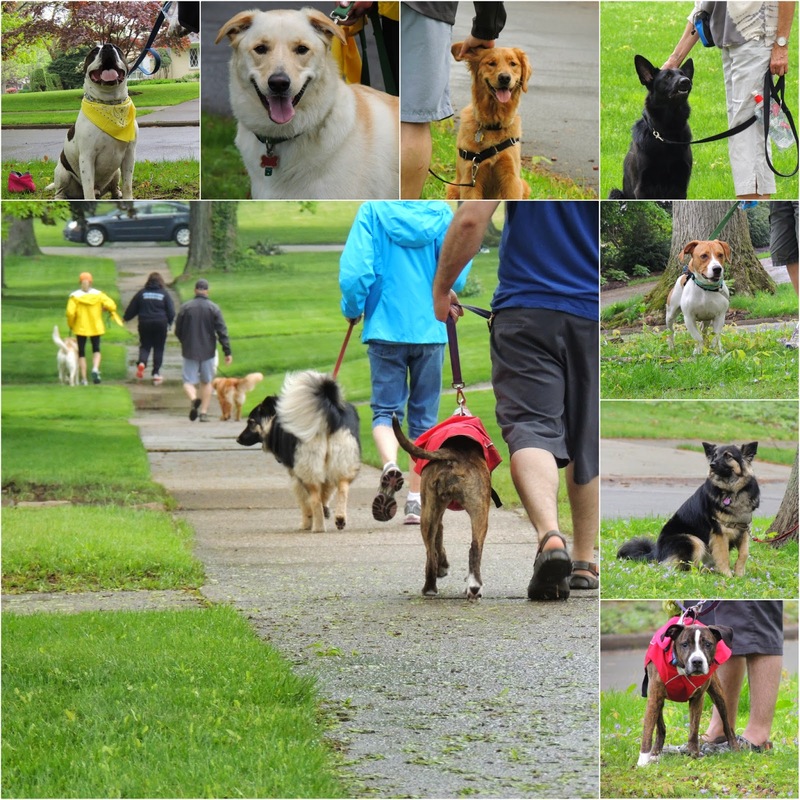 Luckily, we have still had our weekly pack walks. The challenge has been keeping up with the pack and its growth! We have had so many inquiries about the group and new members join (hello Cora Belle!). We are so happy that the word is spreading about our (not so) little group and that we have had such a positive response from our community. Anyone else have a pack? How do you keep up with new members? I've learned when participating in volunteer groups that the leaders should not be afraid to ask for help. Otherwise, the members think they either don't want or need any help. Often, people don't necessarily understand the work required to start and grow an organization. I suspect our pack members would happily share their talents and time to help you with some of the tasks to keep the pack running and growing. Our LoCo Dogs pack has been growing. I've found that posting flyers and having business cards have helped us. But, also word of mouth!